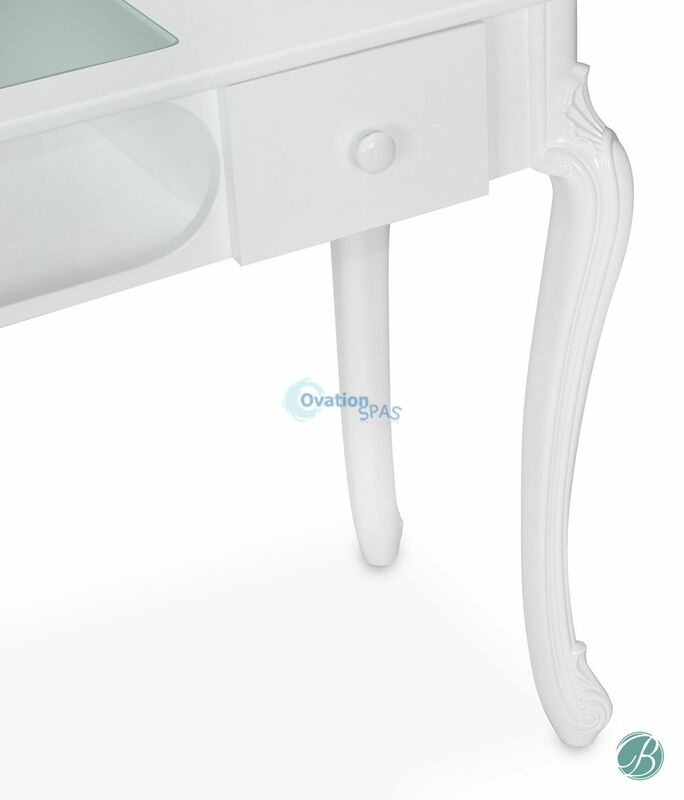 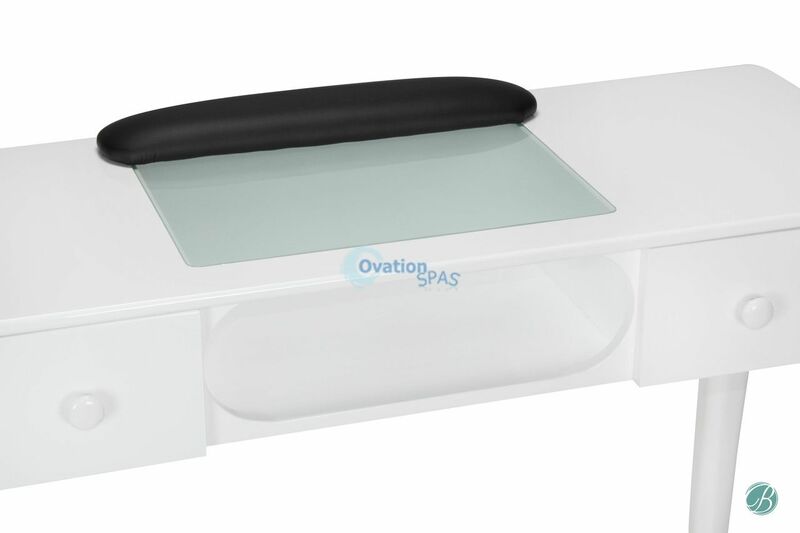 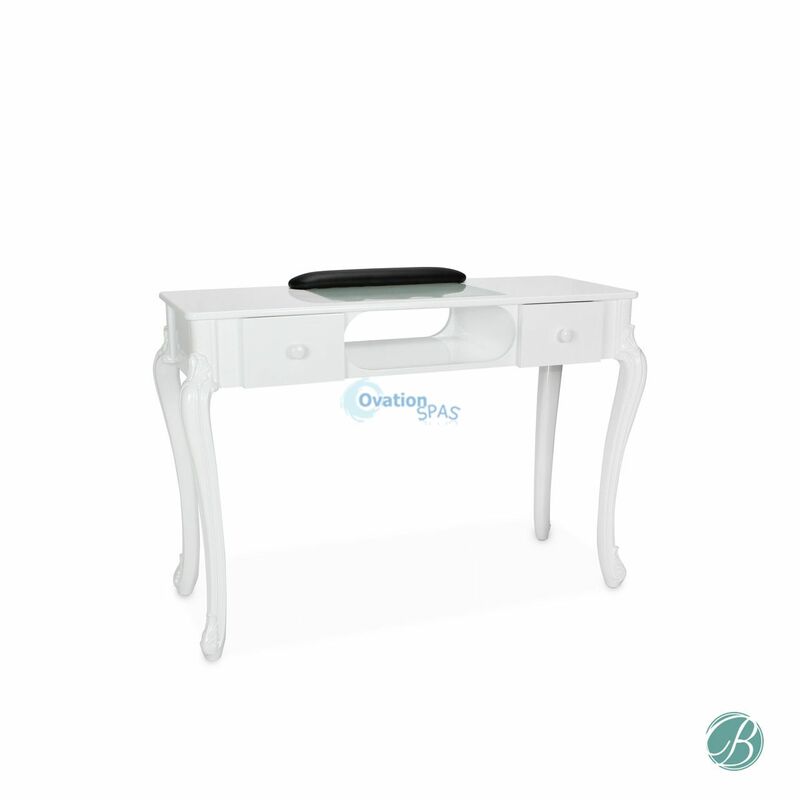 Newest contemporary Fiona manicure table with glass top and UV gel hole for any nail salon or day spa. 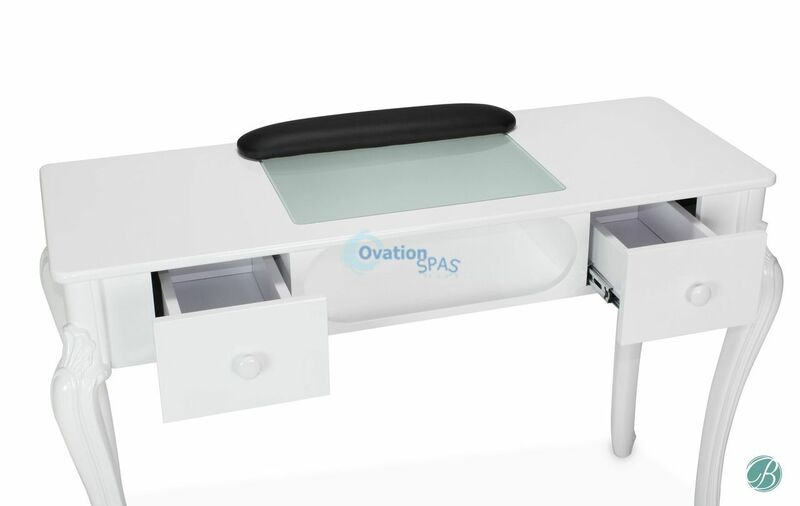 Our manicure tables were designed to make life easier for nail technicians and to offer an enjoyable experience for customers. 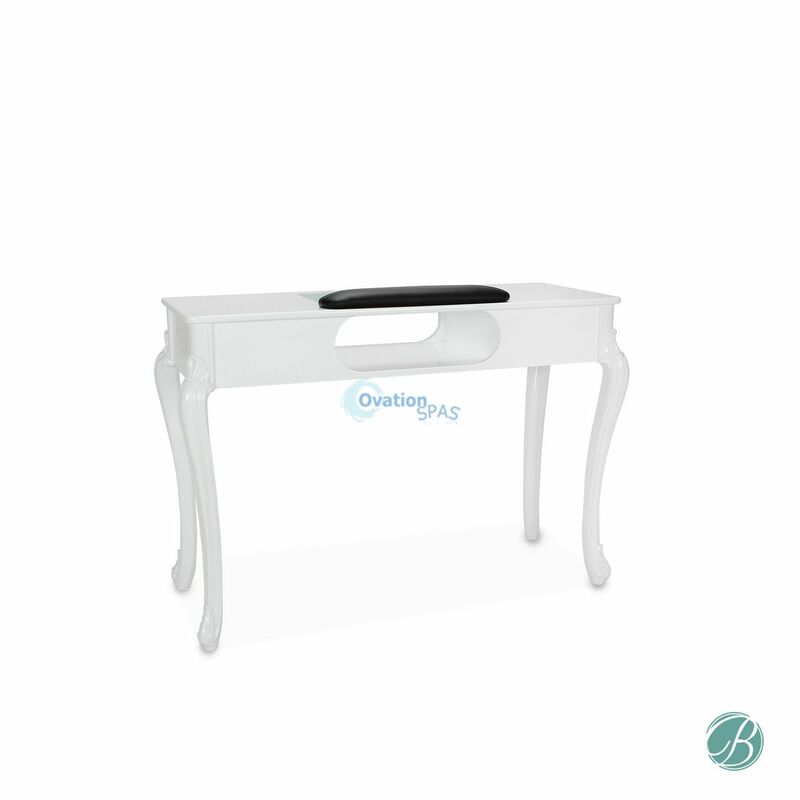 Our tables offer ample space while not skipping on storage. 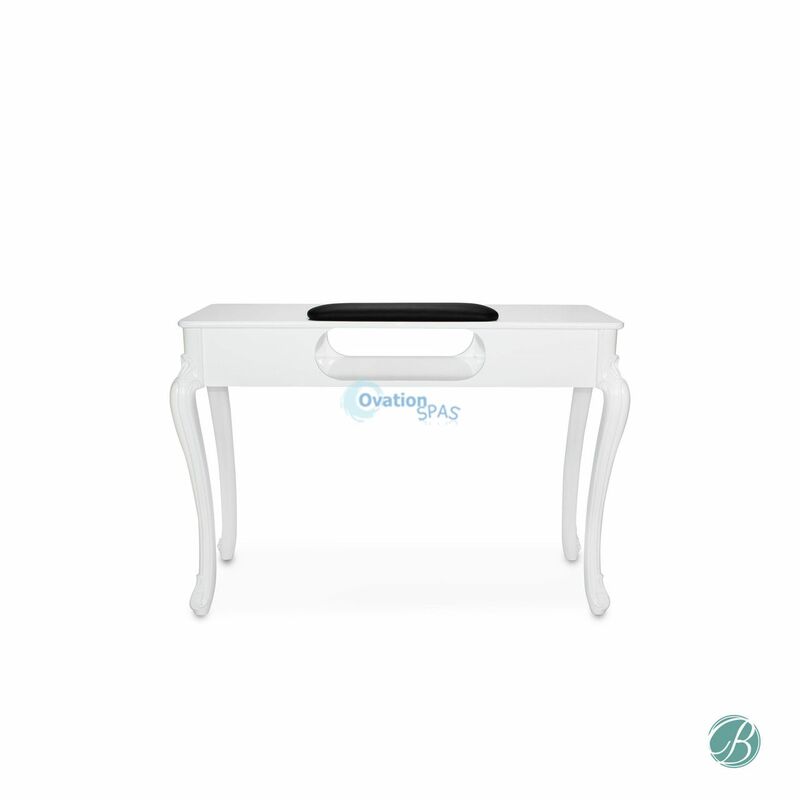 These sections will help you keep the salon clean and organized, while keeping all your supplies accessible for each appointment.